Horror story authors mainly write their novels to give you a good scare. Both self published books and traditionally published ones, as long as they are good, can induce goosebumps. Read enthralling horror stories and keep yourself tossing and turning in bed at night with these 13 scary books. The Shining is one of the many enthralling stories from master storyteller Stephen King. This book has its setting and plot based on the rumors surrounding The Stanley Hotel. King took his inspiration in writing this bestseller from his nightmares during his stay at this hotel. From American author Shirley Jackson, The Haunting of Hill House revolves around the eighty-year-old mansion Hill House. It tells the inhabitants’ supernatural experiences. As a finalist for the National Book Award, The Haunting of Hill House is one of the literary masterpieces worth reading. Written by Bram Stoker, Dracula is a horror novel that falls under multiple genres. These genres include horror fiction, invasion literature, and vampire literature. 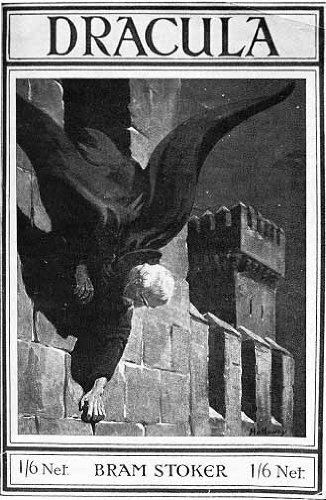 The most noteworthy value of this novel is becoming the inspiration for most modern vampire literature novels. Only Stephen King can make it to the list of scariest books multiple times. Stephen King’s novel entitled IT brings our childhood horror – creepy clowns – back to life. IT puts a frightening take to clowns as it follows killer clown Penny Wise as he terrorizes the residents of Derry, Maine. Under Neil Gaiman’s pen, Coraline successfully created a story that leverages on children’s fear of their mother. 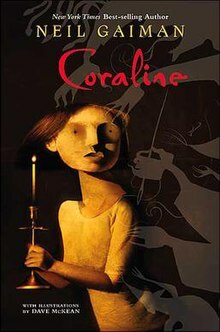 With how the novel is written, Coraline is a majestic children’s book with a tinge of horror that is enough to cause nightmares for kids. From the pen of American writer Peter Straub, Ghost Story is a horror novel with five protagonists that share a secret of murder from their youth. 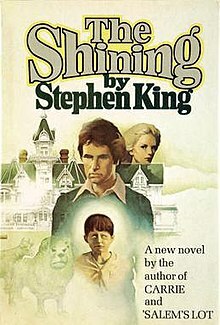 Stephen King praised Ghost Story highly, even stating that this book is one of the finest horror stories of the 20th century. 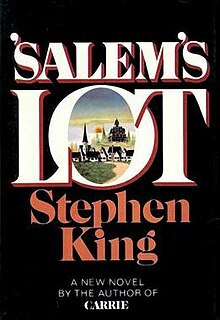 Another horror story from Stephen King, this horror novel has nominations for two awards; namely, World Fantasy Award and Locus Award. Salem’s Lot tells the story of Ben Mears, a journalist, as he returns to his hometown, Jerusalem’s Lot. He uncovers vile truths upon his return, including the devolution of the residents into vampires. Carrion Comfort is one of the horror stories that Stephen King rates highly. Written by Dan Simmons, you will get a glimpse of the world where “mind vampires” terrorizes humanity. This book has successfully bagged Bram Stoker Award, August Derleth Award for Best Novel, and Locus Poll Award for Best Horror Novel. 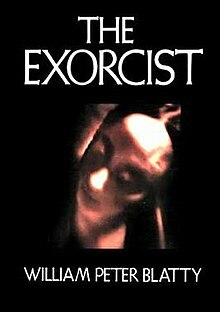 Inspiring several films and stage plays, The Exorcist by William Peter Blatty, is certainly one of the scariest novels of all time. The book describes the attempts of a Jesuit priest at exorcising a possessed young girl. The horrific imagery of the girl’s diabolical possession can surely terrify you. Even scarier, this book is said to be based on true-to-life events. Scott Smith proves himself to be a good storyteller of grim and horror in his second novel entitled The Ruin. The horror commences when six outsiders follow a trail to a vine-covered hill in Mexico. They soon uncover the terrifying secret that this ancient ruin holds – and it is out to get them. If you haven’t had enough of Stephen King, here’s one that will give you another round of the creeps. 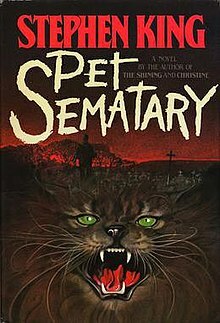 Pet Sematary is one work that King personally admits to being his most frightening work. The book showcases a gory theme filled with bizarre deaths and insanity. This masterpiece is a hair-raising read that you will regret reading at night. Richard Matheson’s Hell House is not your average haunted house story. A billionaire hires four individuals to verify whether there is indeed life after death. How to do that? Investigate the most haunted house in Maine, the Belasco House. Matheson not only spooks you with Hell House via print. Hell House also got adapted into a film in 1973. There is a reason why the film adaptation of Thomas Harris’ The Silence of the Lambs got an Oscar. The plot is indeed scary! Harris petrifies you in this novel with Hannibal Lecter, a serial killer, as the latter weaves an unusual connection with FBI trainee Clarice Sterling through compelling mind games. These horror books are good recommendations to add to your reading list. If you want to be a horror novelist, you can take inspiration from these masterpieces. Legaia Books Online can then help you afterward with your self-published books. For publishing concerns, you may give us a call at 1 (844) 692-2665.